Ladies, gentlemen, and freebie lovers! Ready to know all the things to do in London for Free? The British capital does not have to be expensive. There is many many things for free in London. 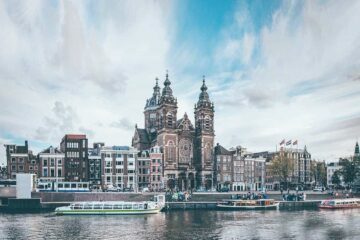 I just collected a loooooong list for you – from museums to sightseeing and quirky bars and hidden gems. We have visited it many times. 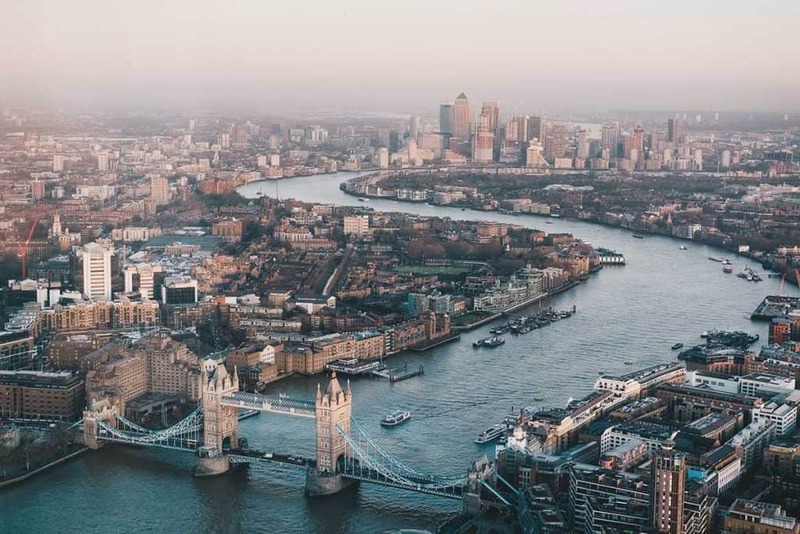 London can be very expensive, we know it ourselves… which made us look for all the free things to do in order to stretch our budget as much as possible. Great, uh? We already did the research for you, so you can start planning your trip. Read: 31 FUN things to do in London. 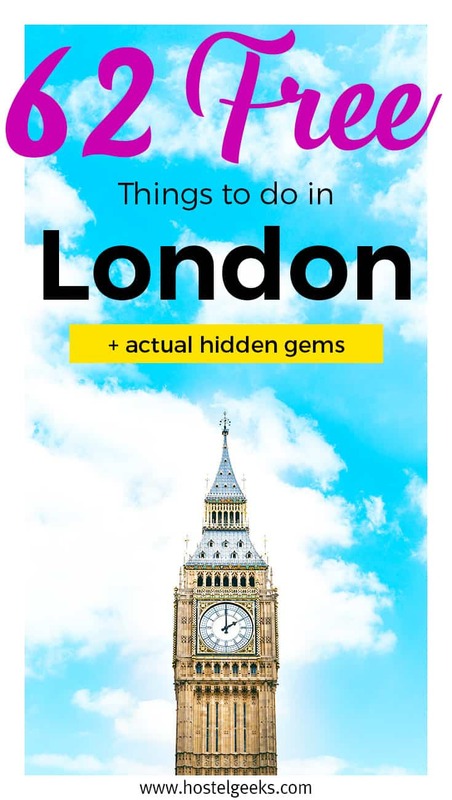 And for the local places seekers, we have our London Secret tips, with crazy budget hints.Of course, you can download them for free! We will start with the, as we like to think, perfect way to get an introduction to the city. Always a good way to get to know the city, a free walking tour! 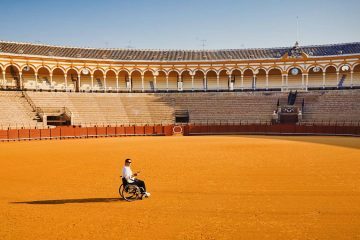 With the walking tour, you will not only get some facts about the city, you can get an idea of what you would like to do or discover next. There are many options in the city, just find the Walking tour you would like to join. Bare in mind, the FREE walking tours are always tip-based. This means you (can) pay a tip to the guide at the end of the tour in the amount of whatever you think the tour is worth it. Backpacker usually pay 5€, while others pay around 10€ to 15€ per person. This is just to give you an idea. Good to know: You do not HAVE to pay, it’s on volunteer base. Yet, I took many free walking tours around Europe. I always gave a tip at the end. Not a single tour has ever been bad or useless. Since there was always a value, the tour guide made a great job, the tip was always well worked for. How about I tell you the MAIN attractions in London are free? After a free waking tour, this is my #2 best recommendation! Good to know: Along these streets, you will find lots of street artists. From Charley Chaplin to incredible street musicians with fantastic voices. At the end of this article I include a map with all those places. 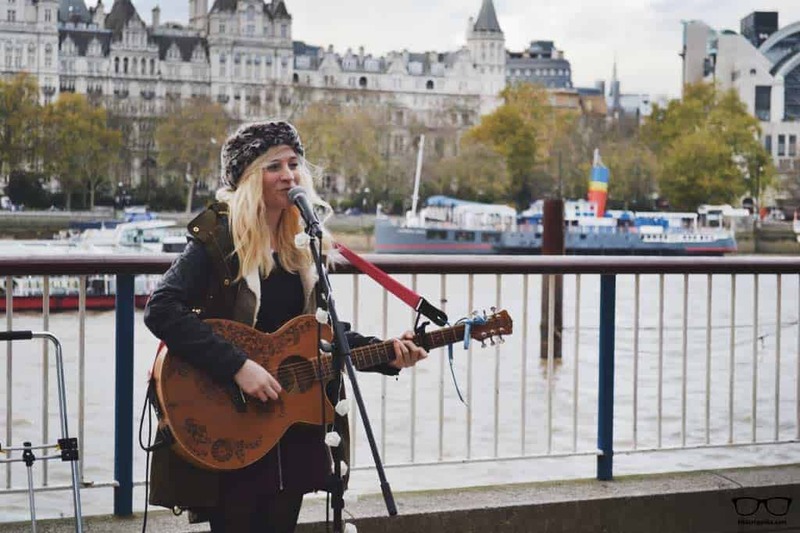 During one of our visits to London, we were amazed by Charlotte Campbell, a sweet street musician, playing next to London Eye. There is so many more street artists around with so much talent. She even has a lot of songs on the Youtube channel and plays concerts. Check out her Youtube Channel here. You can find her most of the time next to the London Eye. This is where she performs too. Ok, ok, this could be a tourist thing to do… but many people are curious to see it. And in fact, it is really worth it and again, FREE! The Changing of the Guard at Buckingham palace is hold every day at 11:30 am. Come over and take a few photos, it is really interesting. 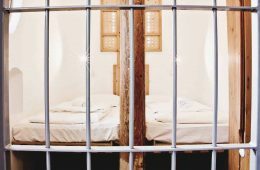 Just so you know, do not provoke the guards. They are allowed to yell at you and even take more action if required. It is a myth that they only need to stand there and should not move. If you are about to harm then, they will harm you before. Just pay attention. And most of all: be respectful! This is not a theatre, a show or a game! Good to know: Arrive early because there are plenty of people! 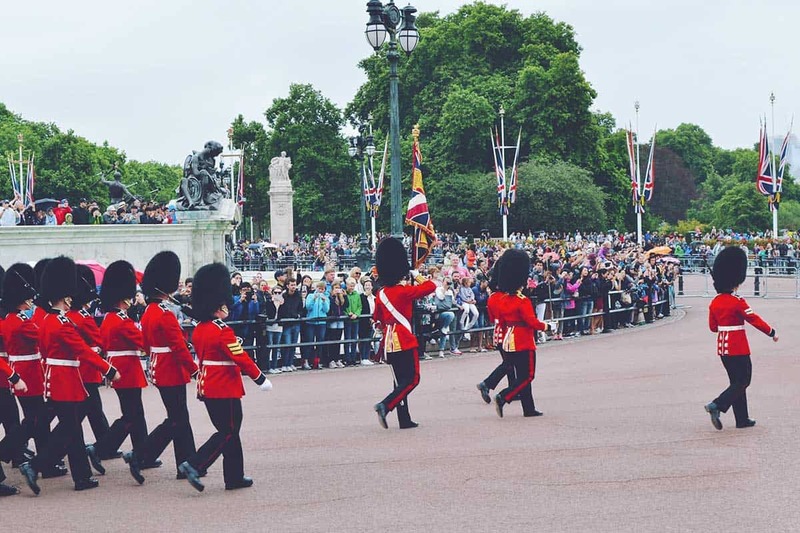 If you are curious about the “changing of the Guard” but do not like crowded places, then head over to Windsor. There’s a changing of the guard as well, and not many people actually go there. So, this is more kind of hidden gem for London! Yet, keep in mind, this is still London. There is always people, but much less than at the Buckingham palace. Richmond Park is the largest royal park and also a National Nature Reserve in London. The Park is, you guessed it, free. On top of that, they do also offer free guided walks. Check out the official website www.royalparks.org.uk for the official schedule. Good to know: This park is incredibly beautiful. Seriously, they have a winde range of animals to discover. Bushy park is a royal park which as a formal Baroque water garden, and the beautiful Diana Fountain. The park is famed for its mix of waterways, gardens and grassland, and roaming herds of red and fallow deer. Again, totally unexpected for me. You can come here for cycling as well as horse riding. Check out more information here. Yet, Hyde Park is one of the biggest parks in London. It has plenty of free things to do! Locals do usually come here to run at the Hyde park. If you are not a sports lover, do not worry. Hyde Park has also a lake, a restaurant… and plenty of squirrels. Children (and adults) do love to feed the squirrels! Now that we are in Hyde Park, did you notice there is Peter Pan Statue there? This is one of the nice free things to do in London for families with young kids. 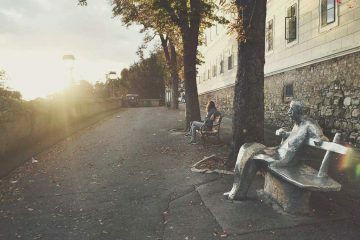 The statue is located in Kensington Gardens and you can actually speak with it. Peter Pan will call you! I think this way pretty cool and the face on the children faces were priceless when they realized Peter Pan just called. Did you hear about speaker’s corner? It is a traditional site for public speeches and debates since the mid 1800’s, when protests and demonstrations took place in Hyde Park. It is located on the north-east edge of Hyde Park, nearest Marble Arch and Oxford Street. If you have something to say (or you just would like to hear), head there on Sunday morning. I am a big fan of BBQs. 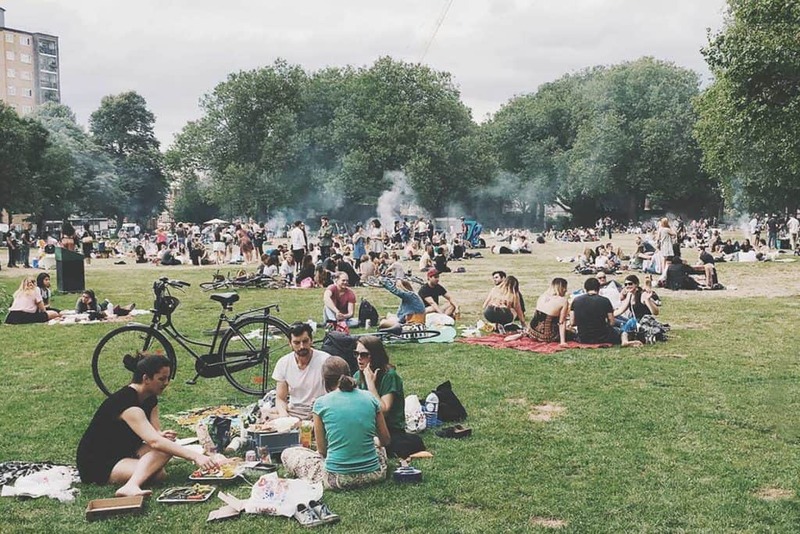 having a barbecue is one of the best things to do in Summer in London. Regent’s Park is not only a royal park, but also houses the Open Air Theater, London Zoo, Primrose Hill, and 100 species of wild bird. All that makes Regent’s Park a perfect spot to barbecue and do activities all day long! Remark: Bear in mind only portable, reusable charcoal barbecues are allowed. Remember: please clean up after yourself. This keeps the green tidy and clean for the next crowd. Primrose Hill is located in the northern part of Regent’s Park. It does offer one of the best panoramic views of London. We came here by coincidence. On the way here we stumbled upon the Little One Coffee Shop. A tiny coffee shop with yummy muffins and crepes, and super creamy coffee. Throughout the city of London, you’ll see traces of the original Roman Wall fortification. The largest piece is located in the Museum of London. As many museums, the Museum of London has free entrance, don’t miss it. Good to know: You should not touch actually any display items. 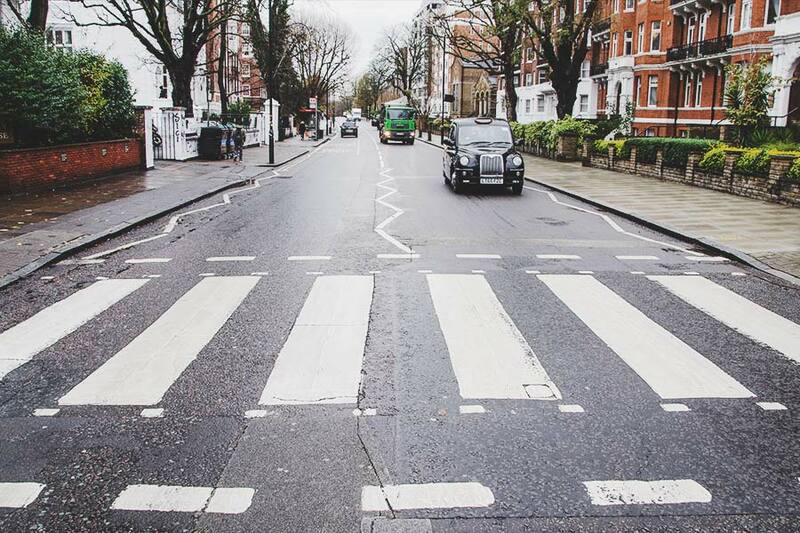 Visit the iconic zebra crossing on Abbey Road and recreate the steps of Beatles. “Abbey Road“, the location itself for the famous photo, is the eleventh studio album by tbehe Beatles. The recording sessions for the album were the last in which all four Beatles participated. Anyway, this iconic photo was taken here and you can recreate it. Good to know: This is obviously perfect for a group of 4 people…. Find the exact location of Abbey Road here. Banksy is the worlds most famous Street Artists. Nobody knows who he or she is, but his work is all over the world and a few of him/ her in London. 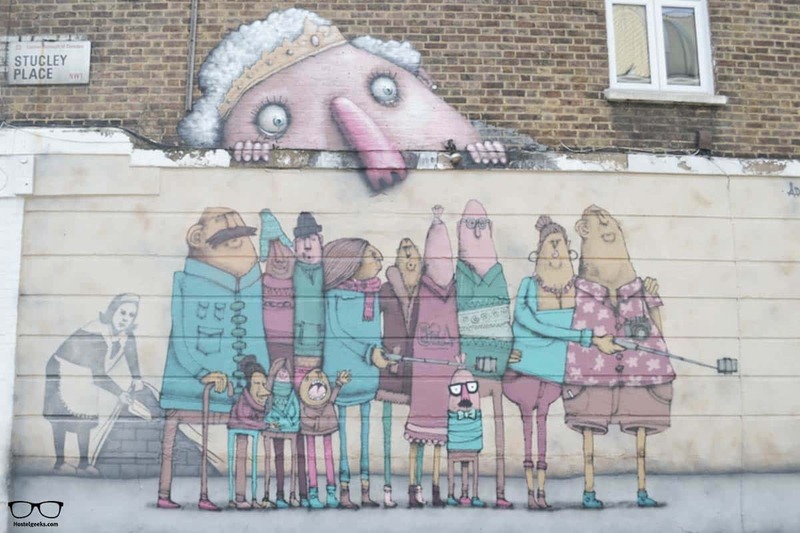 The graffiti artist’s work can be spotted around London. Try to find the maid sweeping at Camden’s street or any other of his/ her work. You will be surprised how many Graffiti from Bansky around the city are. If you are really curious about Graffiti, I do totally recommend you to join a Graffiti tour. It is not free, but totally worth it! See London’s waterways and cute boats where people do actually live. Little Venice is placed on Canals of Maida Vale, near Camden Lock. This place to visit in London is recommended for second-time or third-time visitor. Although it is really curious and beautiful, for the first-time visitor I recommend staying focused on the main sights. Unless, you really have time on your hand. Cross one of the oldest tunnels under the Thames. This is really really unique. It takes around 10 minutes to walk through the tunnel from Cutty Sark to the isle of dogs under the river Thames. There are a few tunnels actually, but the one we mention here is the Greenwich Foot Tunnel. This is the exact address, located in East London. Walking through the old tunnel is a very weird (and FREE) activity in London. Find more details of the tunnel under the Thames here. Ok, that sound touristy… but it is awesome. Don’t believe it? Try it and look at the result! Every day it gets harder to get a picture in a red phone booth. HINT: There is one next to the Big Ben. Perfect location for your instagram photo, below is the exact location. Located in Bond Street, there is the statue of Roosevelt and Churchill, two world leaders. The place is called “Churchill And Roosvelt Allies Sculpture”. You can take a seat on the bench between them and picture yourself as the new future leader! Ok, ok… London is so full of Triumphal Archs, that it gets even boring: Wellington Arch is the most important, and the second one is Marble Arch. But our favorite is Admiralty Arch, which links the Mall with Trafalgar Square. Why? Become nosey and discover it! The statue on top of the Wellington Arch reminds of the Brandenburger Gate in Berlin. Is it just me?! We really like Admiralty Arch because the artist Rick Buckley placed a stone-carved human nose on the inner wall of the northernmost arch. He did it in order to protest about the increased use of CCTTV cameras in London. Rick Buckley felt that the government was becoming too “nosey” and he put noses around the city, being Admiralty Arch a perfect location to found one of the noses. Find the nose and tag us on social media with #hostelgeeks. On the lower levels of the Market in Covent Garden, there are usually musicians offering a show. 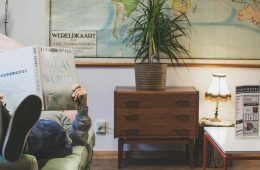 Just stop by and relax while you attend one of these free shows! 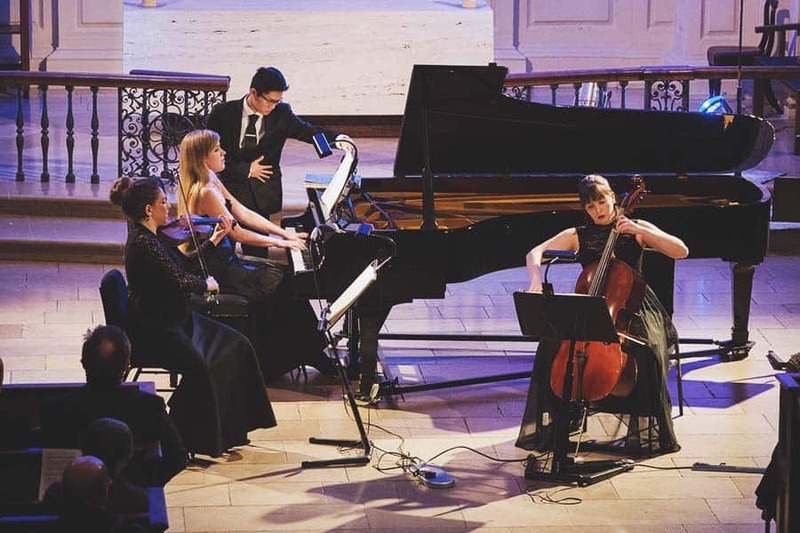 You can check the events on their official website https://www.coventgarden.london. You can also have a drink or eat in one of the bars next to it and enjoy the performance during your lunch. We get it, you think it is expensive to eat in Harrods. Why on earth is the Harrods on an article about FREE London activities? Well, here’s the secret: not everything is expensive! Plus looking is still free nowadays, so you can always get some meal ideas. Just head to Harrods and have a look. Here is an intruiging video to the dessert haven in London. Picadilly Circus? That already sounds like music in my ears. This name goes hand in hand when it comes to London and, although I don’t have data to back this up, I think it’s the most famous metro stop in Europe. Anyway…is it of course the most busy place and sqaure in London! See the iconic bright lights and the famous statue of Eros in Picadilly Circus! It is estimated that around 100 million people pass by the Picadilly Circus – EVERY YEAR. Leicester Square remains a popular tourist attraction in London. It hosts many events, as for example the Chinese New Year. If you happen to be in London during the Chinese New Year, visiting Leicester Square is a must. An authentic NY’s festivity. Check out the cool guys from Timeout about ways to celebrate Chinese New Year in London. Tate Modern building is worthy itself, even only to have a look from the outside. Plus if there is any collection which you are interested in once you are there, you can always decide to enter. Some events and exhibitions are free, others are paid and you need to purchase a ticket. Have a look on the official website www.tate.org.uk/ticketing to find more information. 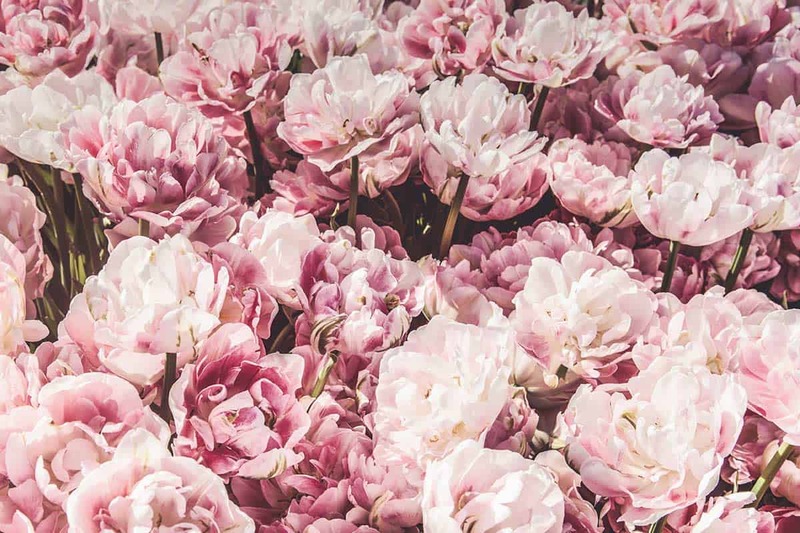 Queen Mary’s Gardens has more than 12.000 roses planted, and can be visited for free! It is located in Regent’s Park. If you read this and instantly thought “oh boys, that’s boring! ?”, well it is not actually. 12.000 roses, an open air theatre and the Delphinium border has full national collection status. National Gallery House has one of the greatest collections of paintings in the world, and you can enjoy free entrance 361 days a year! The National Maritime Museum in Greenwich, London may be the largest museum of its kind in the world. and admission is free! Hurray! Have a look at this fun video. From a Pantheon to mummies… and even the Rosetta stone! 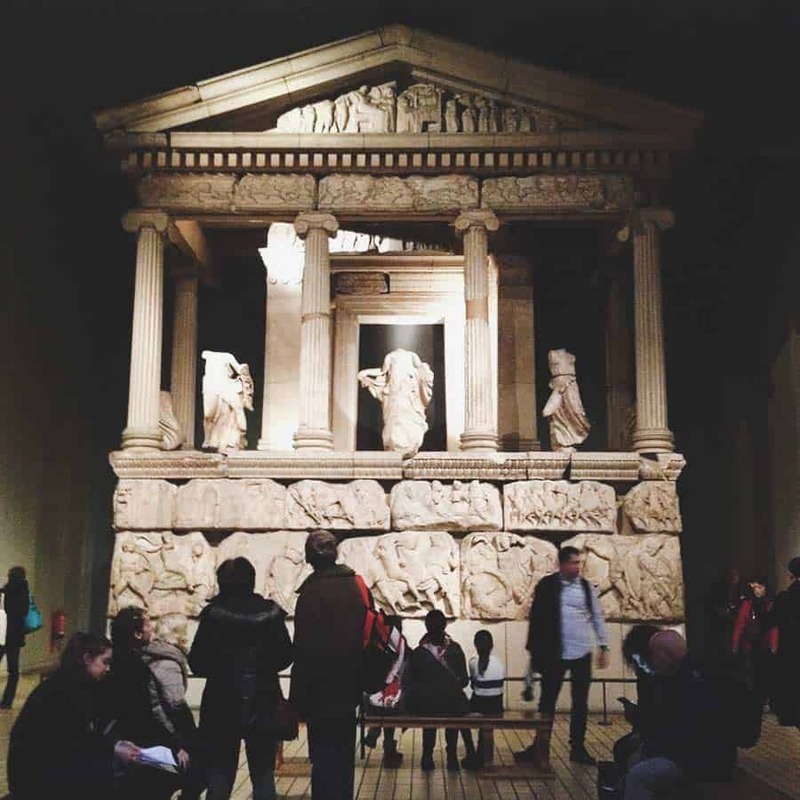 The world famous British Museum is home to some of the world’s finest and broadest collections. The British Musem is FREE! While other museums of that class costs lots of money in Paris, Madrid and New York City, the British Museum remains free. There is some controversy about the British Musem. Some of the exhibiton items were taken from other countries years and centuries ago and never were returned. While this controversy is a political issue, don’t let yourself be bothered by it. Here is more information on how the Pantheon losts its marble, for instance. 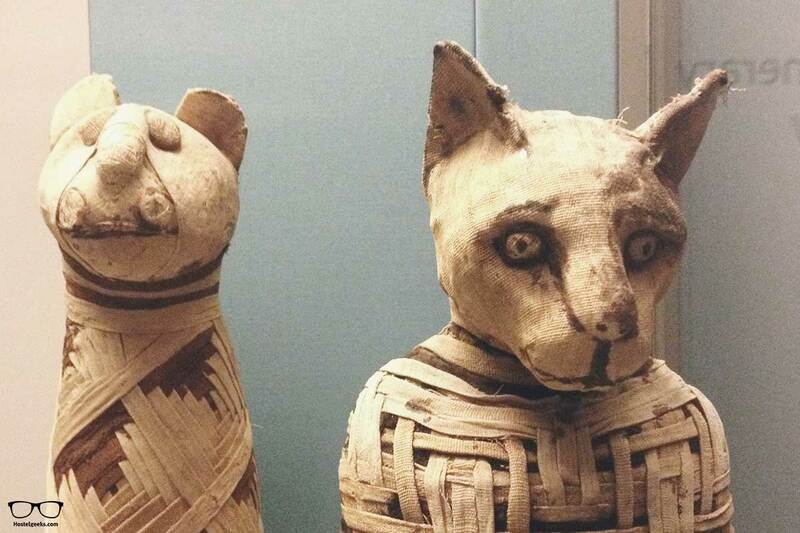 Here is a big article about what made this British Museum so big. It was even called “the Empire Museum”. Anyway, The British Museum is one of the UNIQUE things to do in London, go for it! 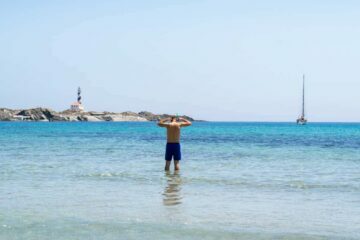 We spent around 4 hours here, but you can easily spend the whole day here. Queen’s House Greenwich was the first classical Building in England, and it was designed by the renowned architect Ingo Jones. Admire the beauty and famous exterior features of the Queen’s House. Enjoy extraordinary art and see beautiful art in this historic royal house and uncover its hidden stories with expert tours. Get to know the important and famous British in the National Portrait Gallery. It was the first portrait gallery in the world when it opened in 1856 and admission is, you guessed correctly, free! vast modern and contemporary Art. Entrance is free. 35. Life is about much more than money! In case you want to check it, visit the Bank of England Museum. It has free entrance! The Bank of England Museum has a unique selection of displays and exhibits, covering its role in maintaining monetary and financial stability through to the banknote gallery and gold vaults. Discover the history of the Bank, its buildings, and the people who have shaped it over more than 300 years. Inside the Science Museum, there is an Apollo 10 command module and a flight simulation. Now, that got your attention, right?! In case it does not app(o)eal you, they still have seven floors of educational and entertaining exhibits. It has free entrance, so just head there and have some educational fun. The WonderLab is my favorite area. Here you can really get creative and dive into science. Perfect for families with young children! Generally interested in Science? Their Youtube Channel is stuffed with incredibly videos about new Science Projects and background stories. The next big museum on this list is the Natural History Museum. take part in a treasure hunt! This is especially fun for families! Even though there is an entrance fee to get in for a tour, you can have a look outside The Globe Theatre. Totally worth it for literature and history lovers. Angel tube station holds the title of Europe’s largest escalator. Obviously you will need to enter the train station here or leave. The station is located North of Clerkenwill, exact address here. Located in a distinctive arts and crafts building designed by Charles Harrison Town on the East End of London is Whitechapel Gallery. This Gallery has not a permanent collection but a rolling program of several exhibitions around the world each year. Bounded by Buckingham Palace, Saint James Park is the oldest Royal Park. There, you can feed the ducks, or simply walk around. 42. 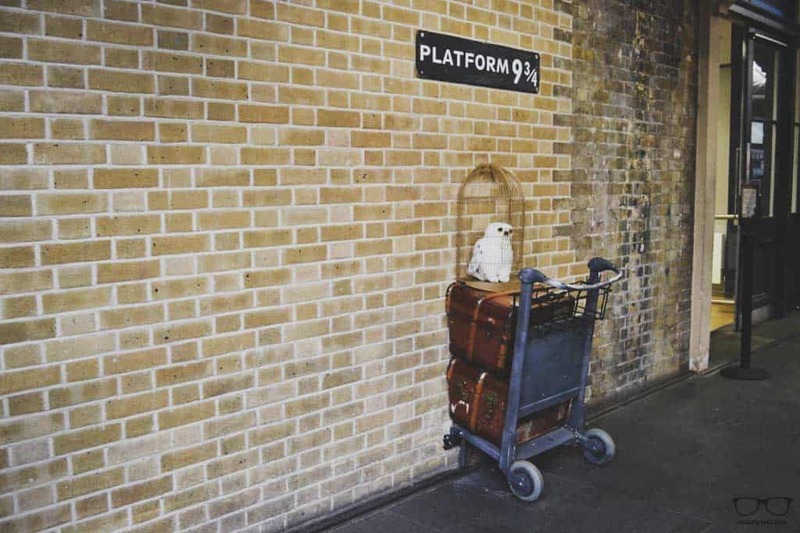 Visit Platform 9 ¾ – Harry Potter! Bus station authorities have set up an entrance for Harry Potter fans at King’s Cross station. The best part? You can picture yourself attempting to cross the wall for free! Depending on the time of day, it can be busy or no queue at all. We could not figure out any pattern. The photo takin g is free. There is also someone from the shop taking photos with your and merchandising like the scarf and such. If you want, you can buy the more professional photo at the shop nearby. Good to know: Harry Potter lovers, did you know there are tours dedicated to discover the film locations? This Harry Potter tour is dedicated to discover all the places and facts about the movie. Find more about Harry Potter tours and which one to choose in our Fun Things to do in London. Located in Gracechurch Street, Leadenhall market is one of the oldest markets in London. It is worth to explore for the architectural alone. Visit the bookstore that appeared in the film Notting Hill. It is placed in Portobello, the address is 13-15 Blenheim Crescent. The name of the book shop? The Notting Hill Bookshop. No visit to London is complete without a visit to the bustling Portobello Market. Just be prepared for huge crowds. It is totally worth it. London is full of free trails, so being fit is not a money issue anymore. Check out the best London Fitness trails and some exercise recommendations at Muddy Plimsolls outdoor personal trainer website. Horniman Museum is not only a museum. They do also offer a Locally sourced farmers’ market selling a variety of produce, hot food and more in their Gardens. The event takes place every Saturday morning. 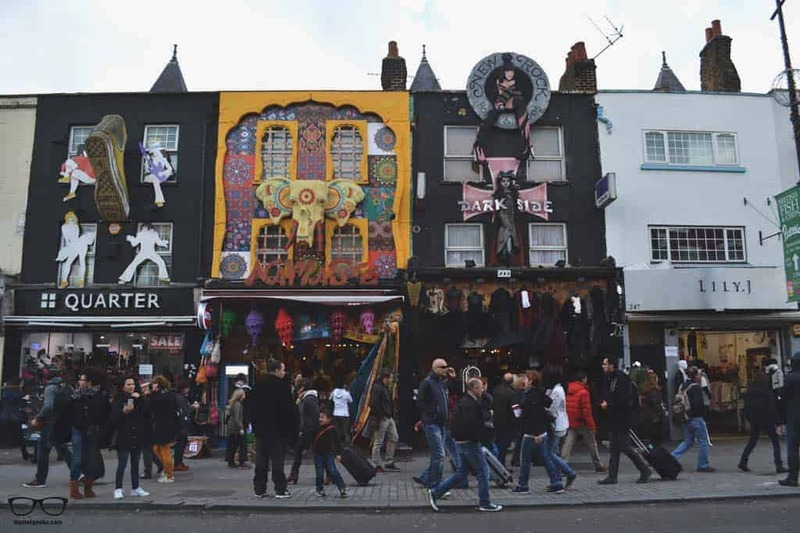 For most people, authentic and more impressive London is located in Camden Town. It is alternative, a bit odd, quirky, different. This is the artsy part of town. There, you will find also Amy’s statue. 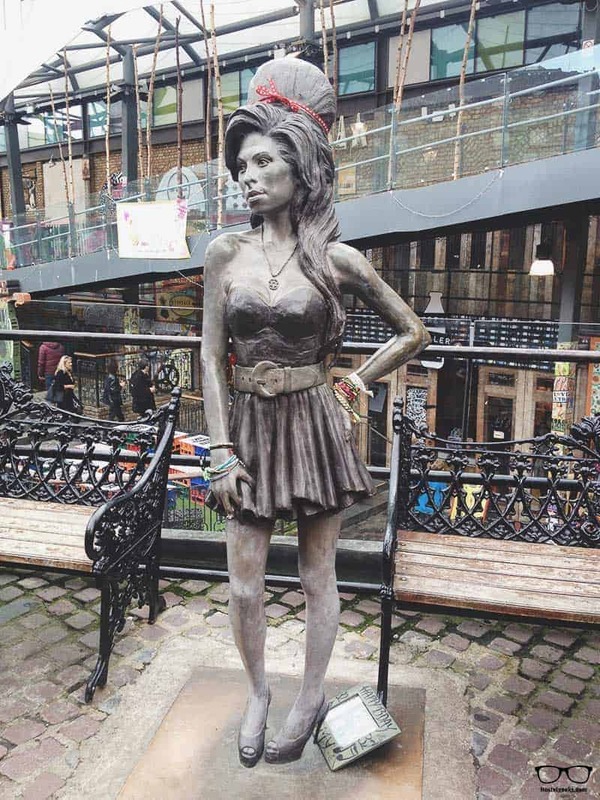 Camden Lock Market is a free and fabulous bohemian labyrinth in Camden Town. Tipp: make sure you visit it as early as possible, as it gets very crowded. Visit 10 Downing Street and you might see the Prime Minister come and go from his residence! This is his actual residence. London is full of buildings with blue plaques. If you look at them closely, you will discover some history famous people who lived there. Across the capital, there are more than 900! Vicotria and Albert Museum is one of the most beautiful and popular museums to visit in London. 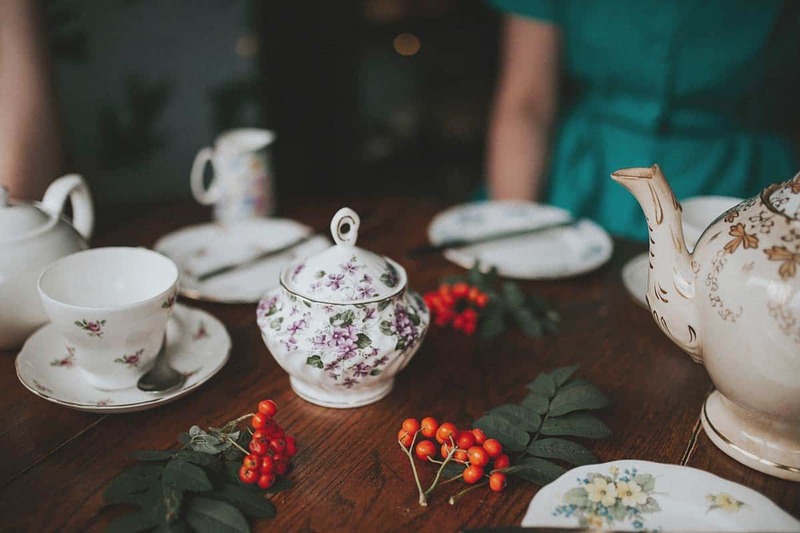 Furthermore, their tea room was the first museum restaurant in the world and is almost a museum piece on its own! So go, enjoy the museum and relax afterward with a warm cup of tea as you take in the gorgeous surroundings. We know, all the people head to Notthing Hill to take houses pictures. But, HEY! There are also very nice houses in other areas. Just off King’s Road, in Chelsea. You’ll find one of London’s most colorful streets: Bywater Street. This is another perfect spot to take instagram photos in London! 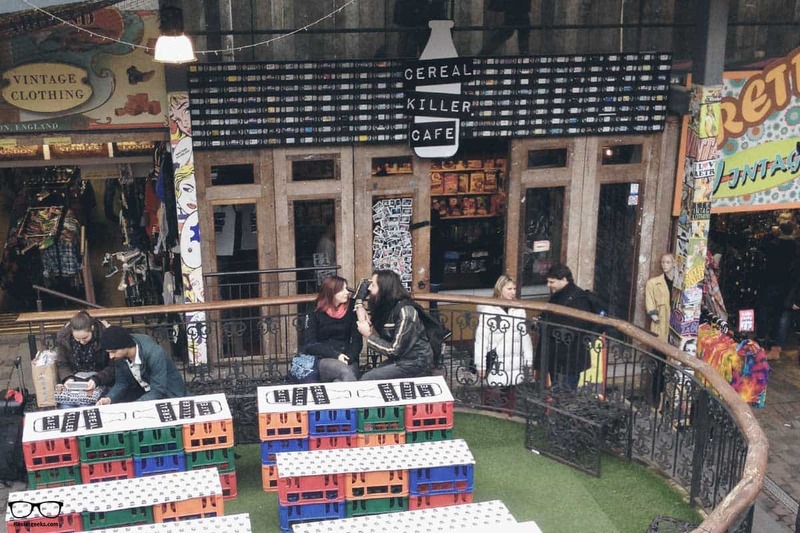 For a long time, Camden has been the epicenter of all things alternative and its inhabitants continue to do it justice by being their lovable, unforgettable selves. Aside from throngs of sock-and-sandal donning tourists, you will run into goths, hippies and anything in between. We were lucky enough to spot some fun street artists, keep your eyes and mind open. This is Camden Town! Borough Market is near to the South Bank area and it is a very trendy local market where locals do actually pick up lunch. 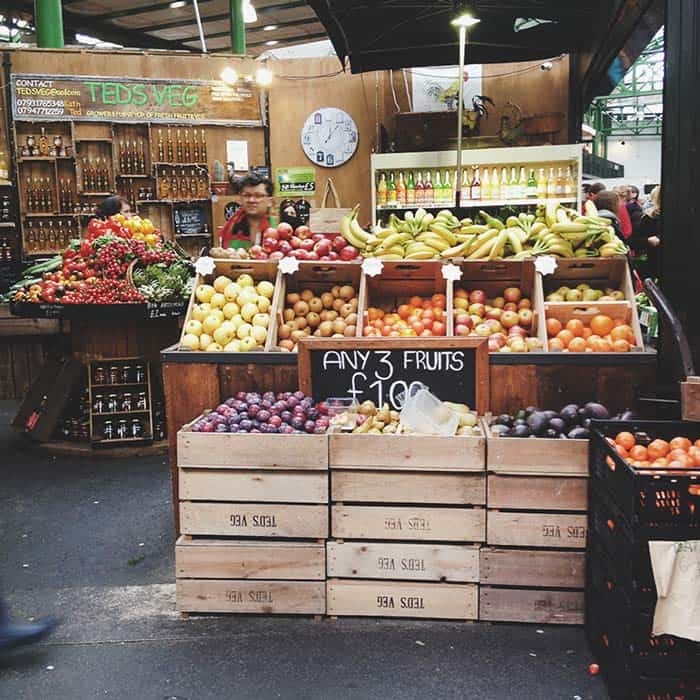 In Borough Market, you will find amazing food. Many stalls do also offer some free tasting. The visit turns to be totally worth it just before lunch time. Also, this is a great place to eat relatively cheap in London. Give it a go! You find anything from fresh vegetables and fruits to fish and meat. The range of street food covers anything between India and UK and Chile to Canada. 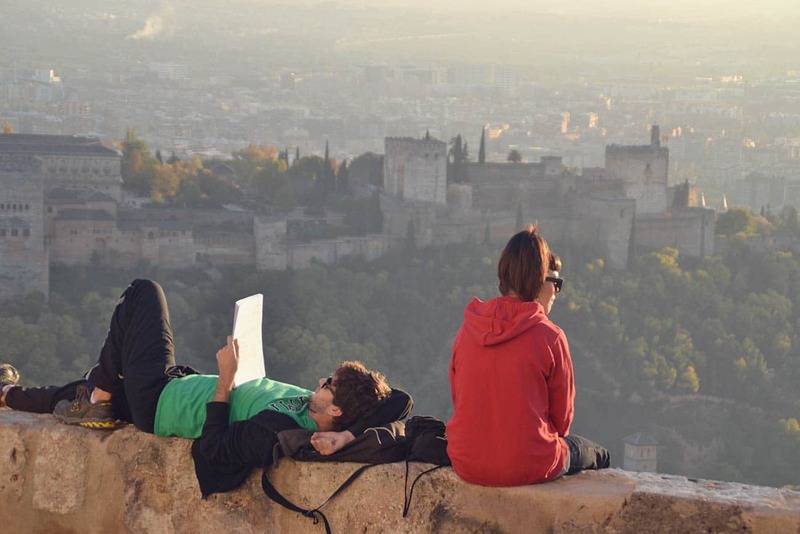 It is always a great idea, and even better with nice views, don’t you think? Just pack some food and get to Battersea Park. There you can enjoy a nice picnic, with views of the Thames or a lakes views. Alright, this was already a HUGE list with parks and family things to do. 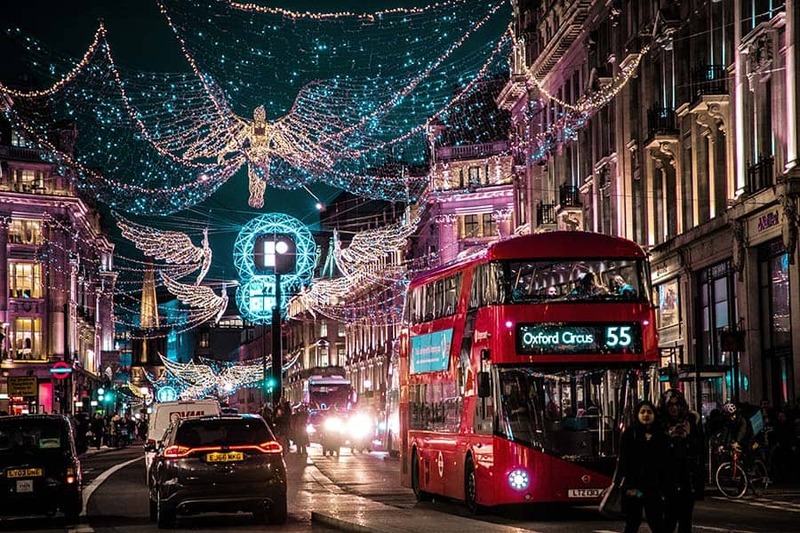 I alos list for you the free things to do in London at night. Althought a Pint can be pricey, there’s more than pubs and live concerts. Stand in Parliament Square at noon and wait for Big Ben to take its music! A great side-effect of being here: You are next to London Eye. This sight is illuminated by night, perfect for photos with bulb (long-term) exposure. Admire the beautiful St Pancras International station, where you can watch Eurostars trains arrive and depart. 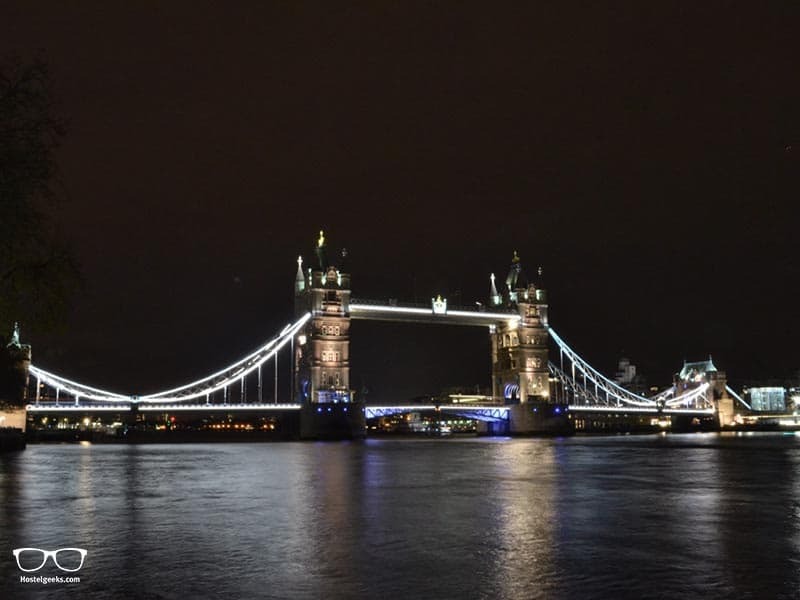 Walk from Tower Bridge to Westminister bridge and see the main attractions lit up. With the lights on, the city looks completey different. Hootananny Brixton club offer many free entry gigs. If you like reggae, ska, and folk music that’s the place to go! Check the admissions policy of Hootananny Brixton here. A cheap, not-free way to explore the nightlife in London is the famous Pub Crawl. More info on Fun Things to do in London. At night you can also take great photos. Every Wednesday South London Gallery opens until late, until 9pm. The museum’s cafe, The Habit, also remains open til late. It offers special deals on food! Just turn up, entry is free, fun is included! The South London Gallery could be also a great place for a first date. Keep that mind! If you wanna be amazed about how many things you can do with neon lights head to Gods Own Junkyard. It is a neon art warehouse, one of those places which has to be seen to be believed. They only open on weekends. Fridays and Saturday entry is free until 9pm. As you will have realized by now, the cultural scene and things to do are endless. 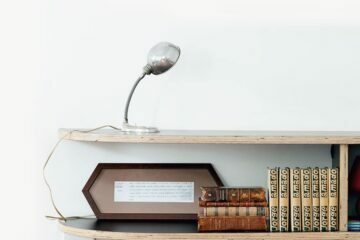 Check out Foyles and Waterstones websites, two of the biggest Book shops in London. They keep their websites up to date with the newest events. I kept this one until the very end of this list of free activities. So, Eureka, I can finally say: Last but not least, the Sky Garden! 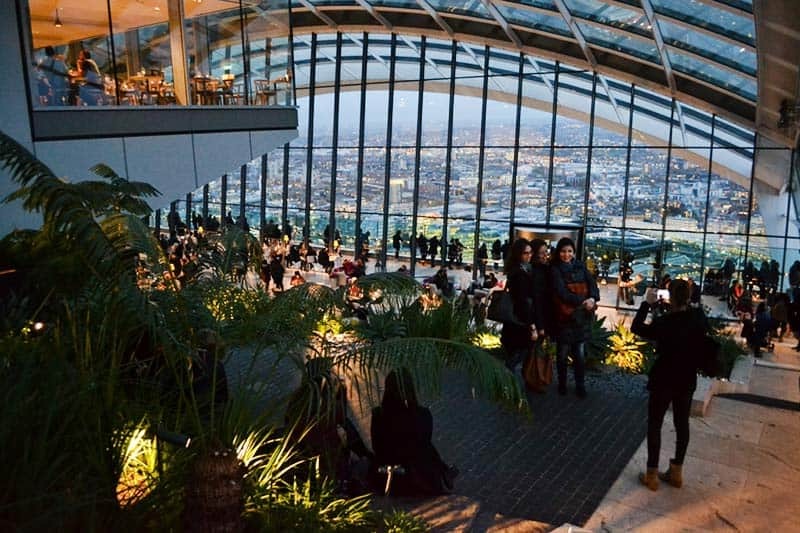 Sky Garden is a unique space in London which offers the visitors a chance to experience the city from a different viewpoint. The Sky! It has a viewing area, terrace, café, bar and even a restaurant. The restaurant itself is not cheap, but definitely something unique! The best of it? You can book a free visit in the Sky Garden! Good to know: Check the time for sunset and plane to be there a little bit before. The colors of the Sky are changing. You would be amazed how London changes during day and night lights exposure. I loved to see the difference! Keep in mind: You cannotjust show up without a booking. You have to have a confirmed booking from the official website www.skygardentickets.com. Book your visit as soon as you can, it’s really popular. You don’t need any credit card or anything! This is the national library of the UK. They show you some of their beautiful collections and tell the stories of the people who use them. Find opening hours and reading room hours here. Take advantage of all the free museums listed above. 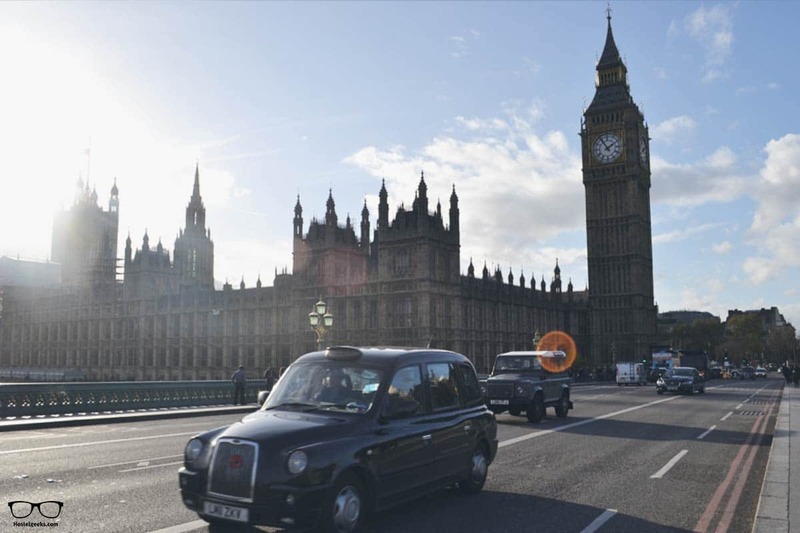 Although you will want to use public transport for long journeys, central London is perfect for walking. Use your legs and walk around. You will see much more things. Again, only in CENTRAL London. If you are planning to walk from North to South or West to East, get ready, because that would take a long time! Good to know: during rush hour, it is actually faster to walk between stations such as Covent Garden and Leicester Square. For long distances, use the metro, but do it the right way! Buy the Oyster Travel Card and save money on each journey. You must buy the card first, but each trip will be 50% cheaper than buying one-day paper travel cards or single tickets. Make sure you buy one when you do arrive. The fastet way around is the Hop On Hop Off bus. This is a good investments if you are only here for 3 days! We covered this as #1 in this article. Join a FREE walking tour and get an idea about the city size and history. 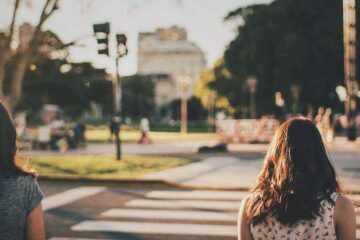 Even though a Free walking tour is usually not totally free, (it is a tip-based tour), it will be the cheapest way to gather many, many information. I am sure you will get more than you pay! Normally guides are super nice and very approachable. Ask them any question you might have, cheap restaurants recommendations included. 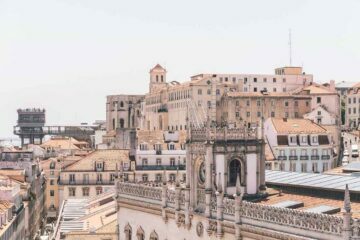 That would be the rule number one for saving money while traveling: avoid peak travel times, which makes accommodation and flights prices higher, and save money even before getting one step in the country. 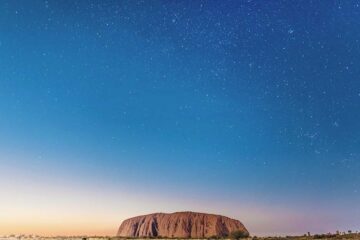 Peak time includes days like New Years eve, August, special holidays and celebrations as well as festivals. Personally I do use Kiwi for getting cheap flights. You can read our kiwi review here. Public toilets in London tend to be rather inconvenient, as they are often paying. Make the most of the bathrooms using them while visiting any attraction (free museums included). This keeps your expenses down! For Venice in Italy goes the same. Here we recommend instead of paying 1€ just for the toilet, get a coffee on the bar for 1€ – toilet usage included! Accommodation and transport are often the biggest expense while traveling. 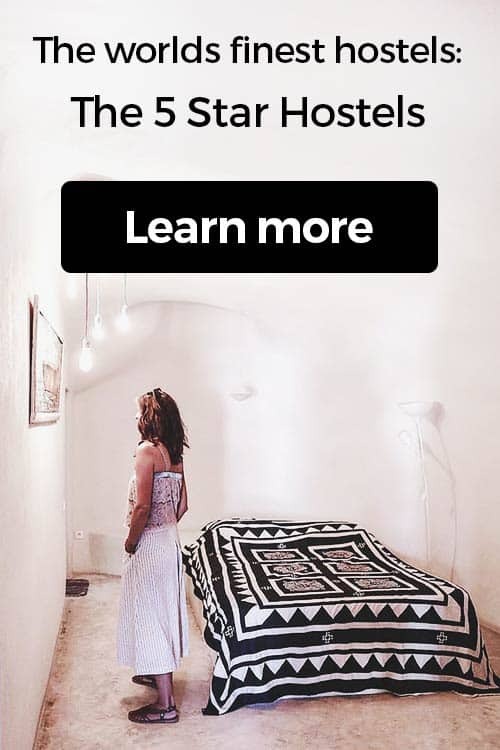 Try to stay at budget accommodations like hostels or Airbnb and take advantage of our 25€ discount for your Airbnb booking. 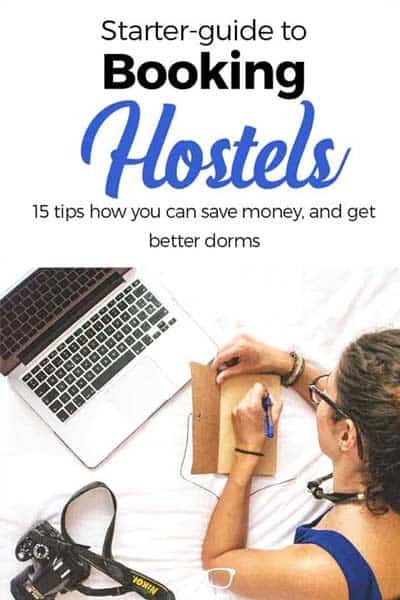 We also created a big guide to hostels in London. 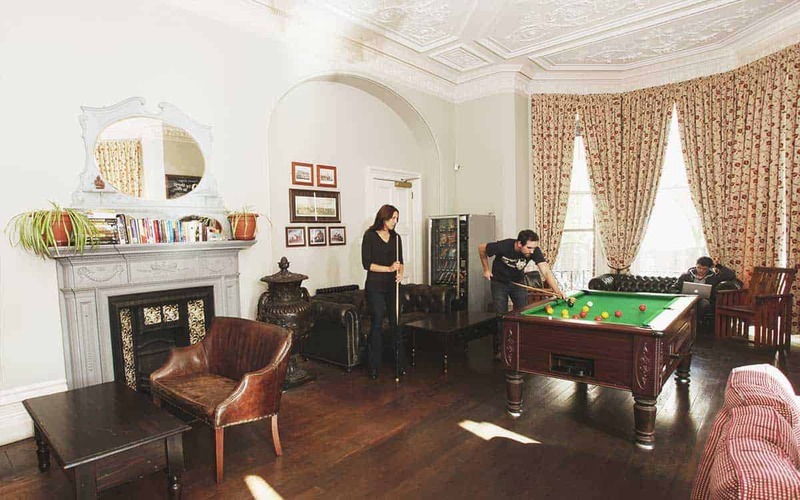 Here we collected the 3 best hostels in London for you. There are plenty of options to eat on a budget in London. Street food has become very popular and you will find many food trucks, food markets and food stalls with mouthwatering food. For saving even more, you can purchase food from supermarkets. The Fresco supermarkets even have an area with microwaves and some seats so you can eat there. 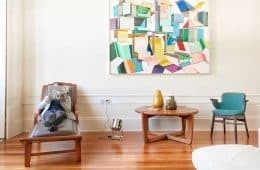 Where to stay in London on a budget? Both hostels have a great location, close to a metro stop that will bring you directly to the very heart of London. These are the perfect hostels on a budget in London. They feature a bar with reasonable prices and even organize pub crawls. This is perfect for the budget traveler visiting London! A general suggestion: In London, the most important thing is to have a tube station nearby. That way, you will be able to explore the city. I hope this map helps you to plan your trip better. London is a big and can be an expensive city, but you can find many things to do in London for FREE. We hope you enjoyed our list, and we wish you a great time in this amazing city. 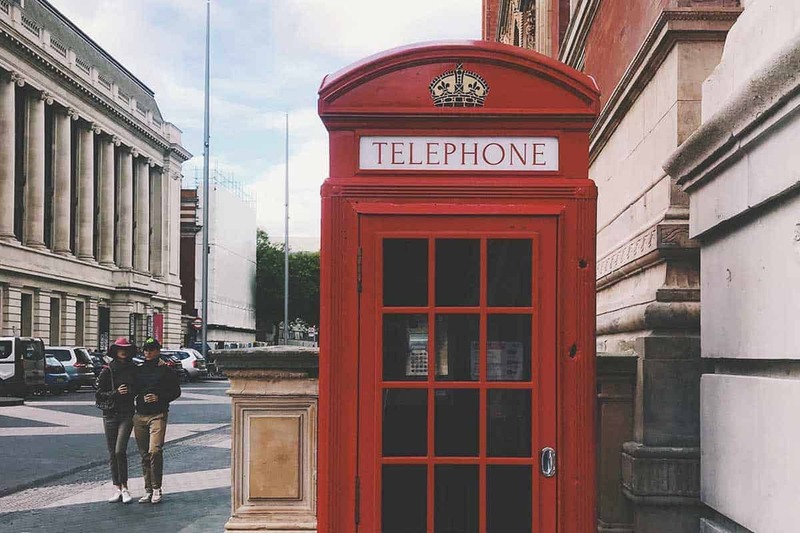 If you need more inspiration, check our fun things to do in London, and our budget travel hints from our local London guide. 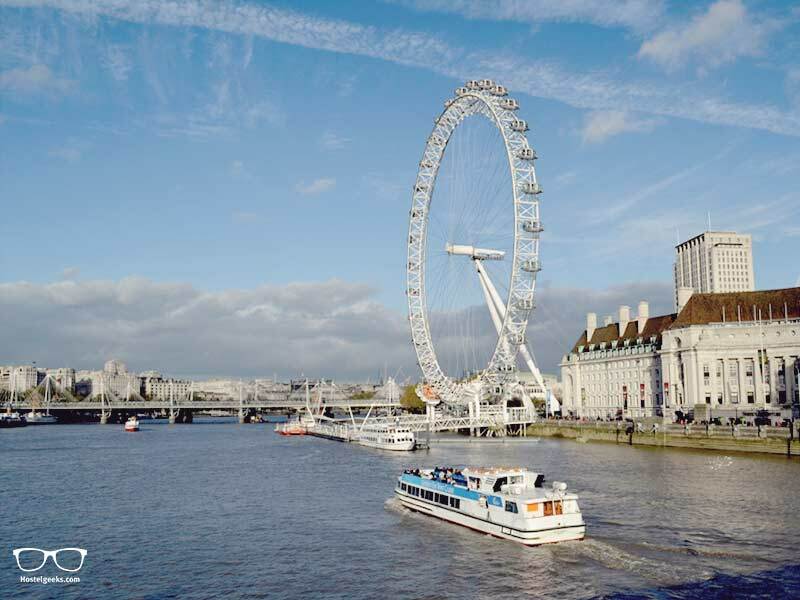 For some of the places you will have to buy your ticket beforehand, like the London Eye. The British Museum is FREE! As you might have noticed, we love to have FUN! Did we miss anything important on this list? Drop us a comment. We will include it.